We are pleased to announce that our firm has been named as one of the 2013 Top Offices for excellence in business sales and mergers and acquisitions. Ranking sixth among the 90 offices within the global VR network, our office and two of the intermediaries on our team received distinctions in multiple categories in generating fee income in 2013. Owner and president of our firm, Jeff Swiggett, CBI, M&AMI, earned third place in the 2013 Top Office Owners category. Bill Hall, CBI, won awards in two different categories, ranking tenth in 2013 Top Associates, and coming in seventh for Top Producers for the fourth quarter of last year. 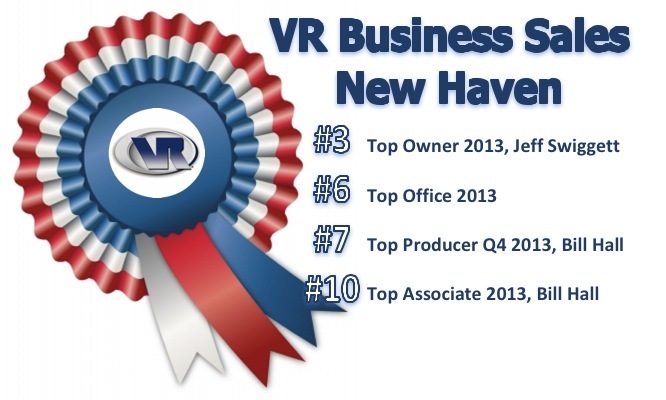 Leave a comment to congratulate the VR Business Sales New Haven team on a job well done.